If you literally depend on your Smartphone, performing countless tasks on daily basis like I do, then you must have wished how useful it would be if that Smartphone had a proper full-sized QWERTY keyboard. Even with the largest of iPhone, the touchscreen keyboard is too limited for specialized and repetitive tasks. But carrying a full keyboard wherever I go may not only look absurd but it will beat the logic of being mobile in the first place. Bluetooth oriented keyboards are handy and useful but when it comes to mobility they are too bulky and totally ineffective. 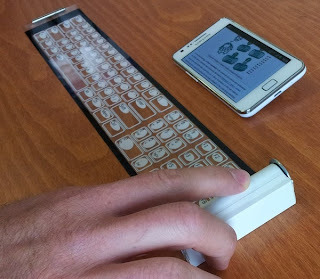 It would be nice if we had a foldable QWERTY keyboard for Smartphone specifically tailored for mobility, something that we can just unfold, use and fold back into our pockets. 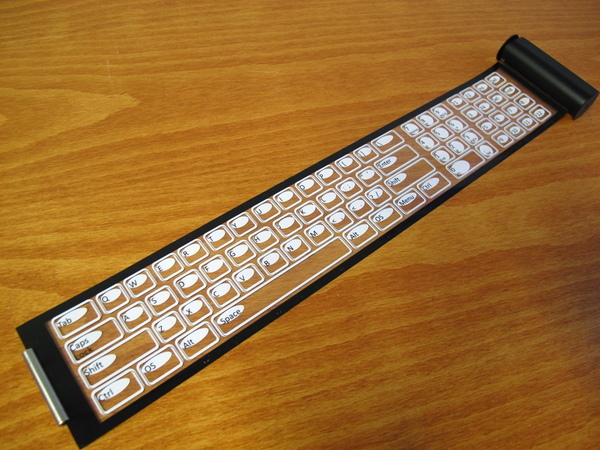 And when you think of this idea and how much creativity is needed to have such a keyboard, David Brown, Ikka Varjos and Bjorn Fridur have already developed such a keyboard, it is called Qii. 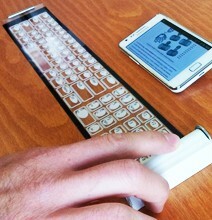 Qii Smartphone keyboard is not only completely foldable but also rollable, bendable and stretchable. 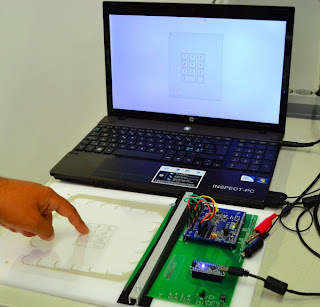 It is built on ultra-high transparency carbon based nanomaterials and touch technologies connected to state of art sensing electronics that makes it possible to sense surface and determine user’s finger position and force. Being fully foldable, Qii’s design sound otherworldly but David Brown, Qii Chief Technical Officer, affirmed the team is determined to bring a truly foldable mobile keyboard that is not only effective but one that will deliver a sense of mobility to users. Currently the team has a fund raising campaign at indiegogo aiming to raise about $1,850,000 by January 2013 for the project funding. The idea of Qii may look like a simple idea but the applications are endless. The capability of turning the Smartphone into a portable and usable pocket computer is a mobility level that will revolutionize the way users use their Phones. 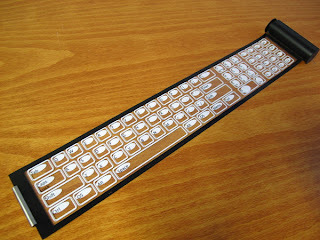 I find Qii designed for human intuitiveness with fingerprint coding to keep it clean and texture surface for easy touch typing. You don’t even have to worry about spilling because the keyboard is dirt and water resistant and can actually be washed with soap and water. Qii is both full-sized and pocket-sized keyboard, so you’ll be able to effortlessly type and surf anywhere you go, be it in a café, a car, train, bus or plane. I would say Qii is a product which would make mobility much easier. Imagine not having to lug your laptop or tablet around while enjoying the benefits of a full-sized QWERTY keyboard.